It is 1832, six years after he deserted the Royal Navy, when Barnaby Skye has a chance to return to England to clear his name and take up employment with the Hudson's Bay Company. 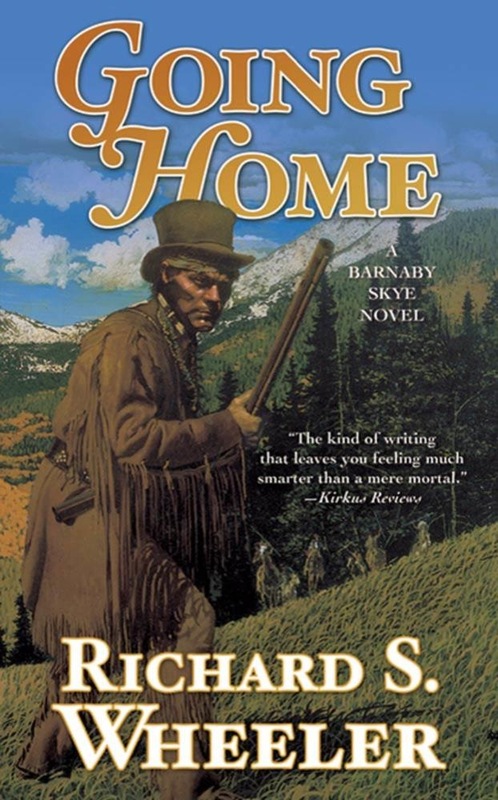 But "Mister Skye," as he insists on being called, is as much a magnet for trouble as he is a legend among mountain men, and this opportunity of a lifetime begins to disintegrate almost from the moment it is presented to him. With his devoted Crow wife, Victoria, an eccentric botanist named Alistair Nutmeg, and a strange pariah dog following along, Skye makes his way west to Fort Vancouver in the Oregon country to begin his journey home. He is adept at dodging Blackfeet war parties and staving off starvation, but when the Hudson's Bay ship Cadboro makes a stopover in Mexican California, Skye's luck-generally bad to begin with-runs out. 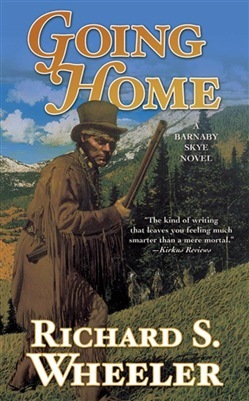 In Going Home, Skye fights Mexican bandits, murderous Pacific coastal Indians, thirst, starvation, and despair, as he learns where home really is and what honor really means. At the Publisher's request, this title is being sold without Digital Rights Management Software (DRM) applied. Acquista Going Home in Epub: dopo aver letto l’ebook Going Home di Richard S. Wheeler ti invitiamo a lasciarci una Recensione qui sotto: sarà utile agli utenti che non abbiano ancora letto questo libro e che vogliano avere delle opinioni altrui. L’opinione su di un libro è molto soggettiva e per questo leggere eventuali recensioni negative non ci dovrà frenare dall’acquisto, anzi dovrà spingerci ad acquistare il libro in fretta per poter dire la nostra ed eventualmente smentire quanto commentato da altri, contribuendo ad arricchire più possibile i commenti e dare sempre più spunti di confronto al pubblico online.